← An encounter with a headless woman, holding a pig! I have to say I’m glad to see the days starting to get a little longer, and signs of Spring are to be seen in my garden. 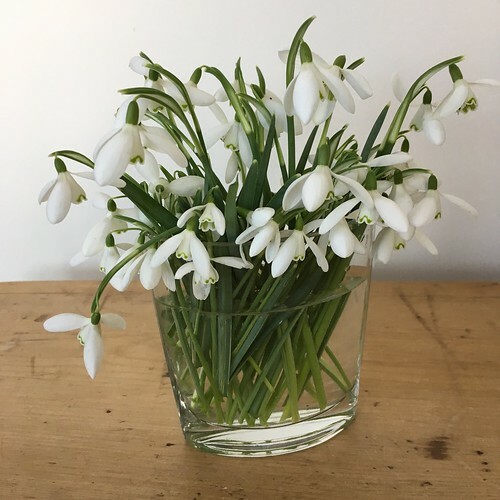 The birds are pairing up and the snowdrops are in full bloom. When the clocks went back I didn’t adjust very well, it took a long time to get back in sync. I think acceptance is the key. I decided to treat the dark hours as ‘me’ time, call it hygge if you like, I think of it as a hug. I have been taking a holistic approach to life, working less, reading more, watching films, exercising more, meditating and eating healthily. I feel very calm and relaxed now and I’m ready for the longer days, although I will miss taking my breakfast back to bed and staying there reading until it’s light and warm in the mornings. Back to my work, I’m trying to have down time, where before I would wake up thinking about making and it would come before everything else 7 days a week. I decided to work 2 days a week, I actually mean ‘make’ as I still do the day to day running of my little business. I have found my mind is calmer, my ideas aren’t running away with themselves, and I have time for Spring cleaning, which is an annual chore I actually like doing, well it’s rewarding when it’s finished. This year I am working more closely with the seasons, this is something I became increasingly aware of since Autumn when my leaf supply became sparse, but I think it’s a good thing. 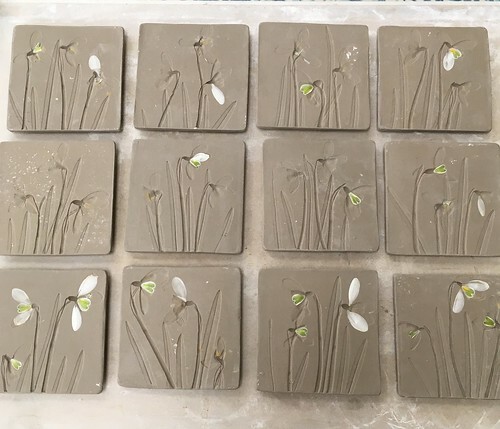 Now the snowdrops are out I have been enjoying their ephemeral beauty, and making some clay pieces while they are in bloom. 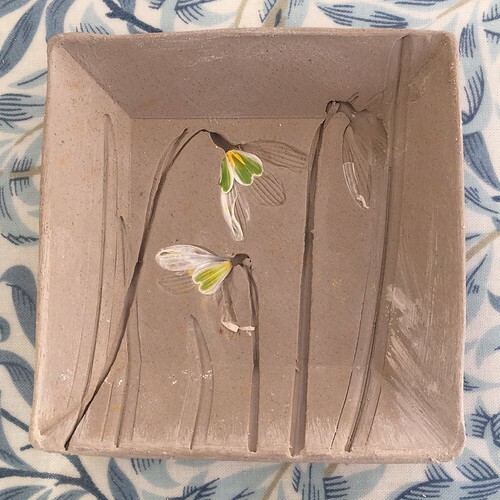 I started this project a couple of years ago but the snowdrops finished before I did, and last year I missed them. Last time I made an’ outie’ tile, but the 2 part process meant it didn’t have the detail I was hoping for. I think ‘innies’ give the best print, but I won’t know until these are finished. 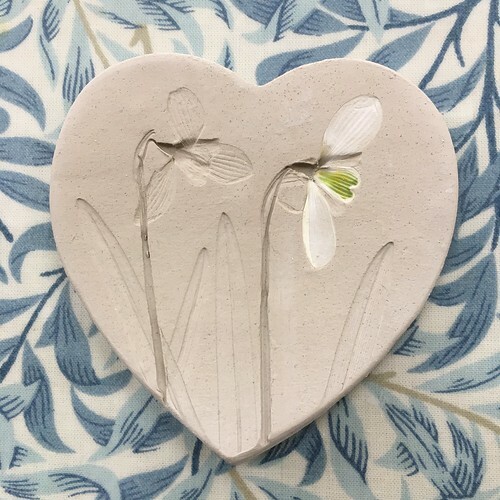 This entry was posted in kiln fired art and tagged Calm, holistic lifestyle, kiln fired art, snowbrop ceramics, work life balance. Bookmark the permalink. 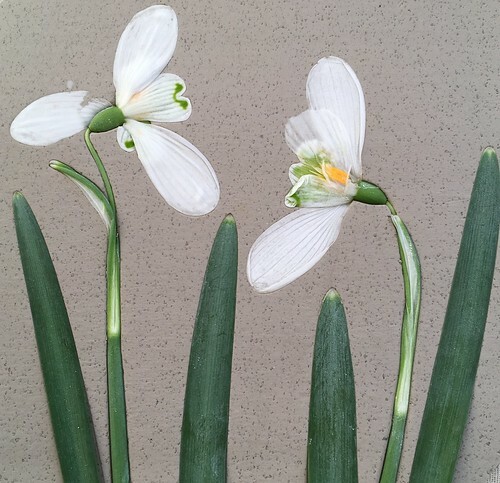 Jill, your snowdrops are so cute! I’m not that affected by the time change, and reading this I just have to comment about the Winter doldrums. When I first moved (permanently) to France in Jan. 1992, I really went through a few years of what I realize now was a sort of depression. I wasn’t used to winters of that proportion, being a So. Cal. beach gal. I guess part of that was post-partum hormones too. When we bought land and had a house built in ’96, I learned to embrace the seasons. Planning my garden in winter and working it in the other months really made all the difference. I’m one of those who talks to my plants and finds wonder in the buds of my flowers and trees and checks their progress each day… even if it’s cloudy and gray. We have days on end of what I’ve come to refer to as “Paris Gris” (pronounced Pahree Gree), … After 2 full years away and counting, I cannot wait to get home (permanently) one day and tend to my garden again. Hopefully my cat will still be of this world and she’ll follow me around and ‘help’ like the good old days.